AMP Capital has seen a surge of interest from a range of wholesale investors in its NZ-compliant ‘weapons-free’ passive global investment product, according to the fund manager’s head of distribution, Rebekah Swan. Swan said the recent debate around potential exposure to cluster munitions manufacturers in KiwiSaver default funds – particularly via index products – has sparked a flurry of enquiries across the industry. Swan said the AMP Capital specifically designed the passive global shares product, managed by State Street, “in accordance with New Zealand laws” including the Cluster Munitions Act (2009). The State Street fund, typically offered with a sticker price of basis points in the “low teens”, has to date garnered funds under management from NZ investors of about $1.3 billion, she said. Swan said the product, only available to wholesale investors, is operated under a separate mandate with State Street which screens out ‘blacklist’ stocks supplied by AMP Capital. 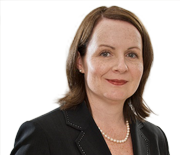 While AMP Capital constructs its own blacklist, based on research from its in-house team of nine environmental, social and governance (ESG) specialists, she said the manager does refer to the New Zealand Superannuation exclusion list. “NZ Super includes more exclusions [tobacco for example] but there are lots of similarities with ours,” Swan said. Earlier this month the NZ Police knocked back a complaint from Amnesty International alleging KiwiSaver schemes were breaching the Cluster Munitions Act by investing in unscreened global passive funds. Despite the unsurprising legal reprieve all KiwiSaver default providers have since either amended their investment strategies or announced a review. Several KiwiSaver providers are currently negotiating with global index fund giant Vanguard to build a NZ product that excludes certain, yet-to-be-determined, stocks. Swan said while the press coverage around the cluster munitions issue skipped over important details “it was pleasing to see engagement” from KiwiSaver members in their schemes’ underlying investments. “It’s fantastic that KiwiSaver members are now asking about who their provider is and what they invest in,” she said. Therese Singleton, AMP Services general manager, said the post-cluster debate has spilled over to the retail level too, with the AMP Capital sister firm fielding a rash of calls from concerned KiwiSaver members in recent weeks. Singleton said in spite of some “disappointing” media coverage that unfairly tarnished the “KiwiSaver brand”, members were already beginning to engage with socially responsible investment (SRI) issues.